Summer is in full swing, and that means here in the Midwest it is fairly hot – and I loathe being hot. Air conditioning costs a bundle, so I am constantly looking for more frugal ways to beat the heat. Going to the mall and wandering around works pretty well, but sometimes you need a more intense solution like filling your bathtub with ice cream and soaking in it. While simmering in my tub of bargain-priced vanilla flavored “dairy dessert” I like to imagine various chilly vistas to enhance the cooling effect. Sometimes I am ice fishing in Antarctica, other times I pretend I am a young Native Alaskan girl romping through the blizzard stricken expanse of the north with my pet fox. 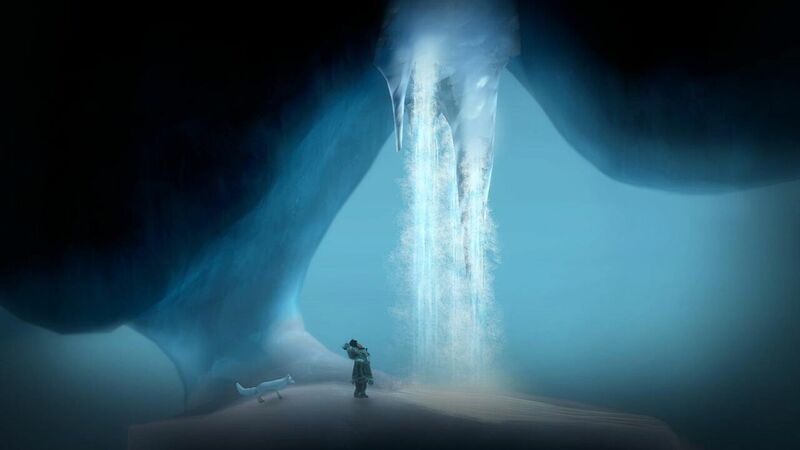 Never Alone is a game that came along and made my summer musings a reality; except instead of ice cream, there was snow, and instead of a bathtub, there was the Alaskan wilderness. 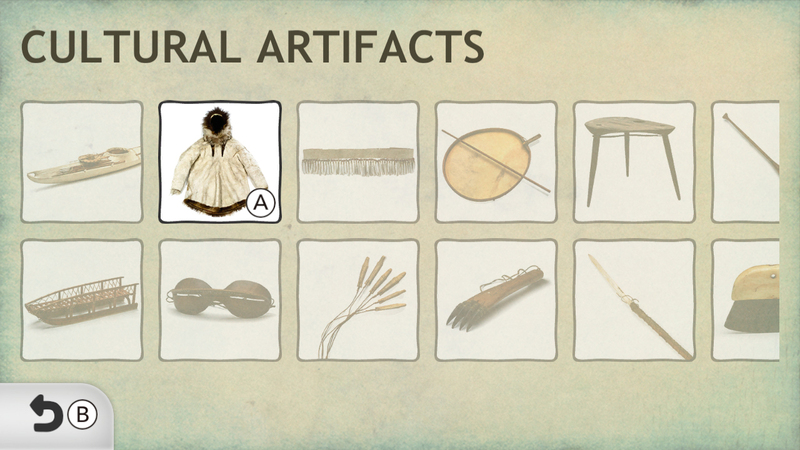 In the game, you are plunged headfirst into the snow drift that is the rich culture and lore of the Iñupiaq people. Included with the Wii U version are short video interviews with Iñupiaq elders and vignettes that give players insight into their daily life, detailing and how they survive in what is probably one of the most inhospitable environments on our planet. These videos, along entries in a small wiki, are unlocked as you progress through the game and show that the game’s developers didn’t just want to make a game – they wanted to make something that was educational and expressed their love for the Iñupiaq people and their culture. The wiki and unlockable video content are unique to the Wii U version. In the game, you control a young girl who must set out into the wilderness to determine the cause of an unreasonably harsh blizzard. Gameplay starts out being pretty typical side-scrolling platformer fare. Though she first starts her journey alone, she is eventually joined by a snow fox who definitely has more to it than meets the eye. In single player mode, you can switch between the two characters at will, and you will need to do so because they each have unique abilities. Nuna, the girl, can push heavy boxes and eventually wields a bola weapon that can be used to shatter icy obstacles. The fox can jump much higher, climb walls, and summon ethereal guardian spirits that will be used to reach trickier out-of-reach places. Movement seems appropriate usually, given the fact that the characters are often hiking through deep snow or bracing themselves against vicious wind gusts (more on those in a bit). The game was clearly designed to be a co-op experience, and sometimes inviting a friend to pick up a controller is going to be the only way to clear a puzzle without being consumed by frustration. This is never due to the puzzle being poorly designed, however. Each one has a firm and easy to grasp root in logic that most people will be able to hash out easily. The Northern Lights will never look the same again. As we said above, the sluggish movement of the characters usually seems appropriate given the environment in which the game takes place, however, the lack of precision in the controls often leads to failure. Jumps are too hard to aim without over or undershooting your target. The bola, which is necessary to make your way through the game, is very difficult to aim in a pinch. When playing alone a single player will probably end up getting stranded and dying accidentally due to shoddy AI controlling the partner character. When jumping across ice floats, it isn’t uncommon to watch the fox simply walk straight into the water. If Nuna is on a platform and the fox jumps ahead, she might decide she just wants to stay on the platform which is a very bad thing because some of them disappear if the fox isn’t close enough to them. The place where these few shortcomings really grate the nerves are the handful of chase scenes, and the endgame puzzles which feature an impending threat acting as a timer. There is nothing in the previous sections of the game that will prepare you for the fast thinking and response time required to make it through these segments of the game. Beating them will come down to basic memorization and repetition unless the player is able to wrap their game around the odd movement mechanics very early in the game. Unfortunately, this added up to a game that quite often was just plain not fun to play, but there is a good reason to work through it. I feel a chill just looking at this. 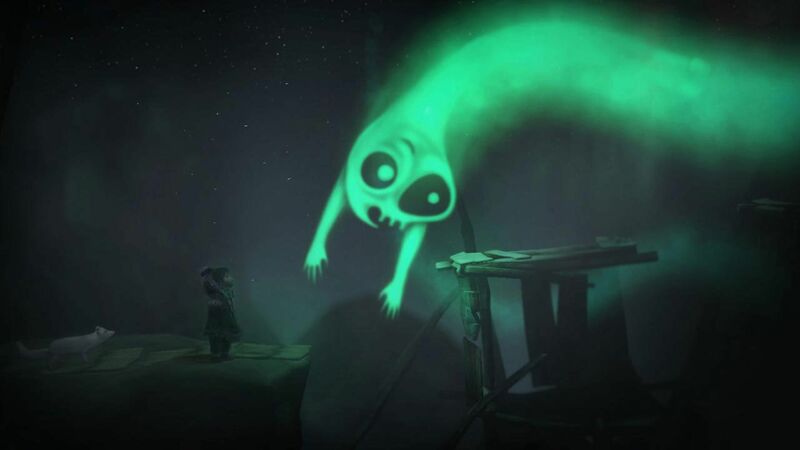 Never Alone’s shortcomings are counterbalanced by it’s huge amount of charm. This is a great escapist device because it is successful at taking you somewhere else for a while. Sure, the place it takes you may seem like a cold and barren wasteland at first glance, but once you spend some more time there you will realize that this land is full of warm-hearted people that have made full lives for themselves in the most unlikely of places. On a technical level, there are some shortcomings but the wonderful scrimshaw cutscenes and stylized animated cutscenes tell a sort of chilly fairy tale that you won’t soon forget As the summer heat reaches it’s apex, it would be a great idea to move the Wii U into your bathroom, settle down in your ice cream bathtub, crank the AC up on high (for added ambiance), and help Nuna and her foxy friend save their people from the relentless blizzard that threatens their existence.